In a conversation with multitalented Dr. Jagdish Chaturvedi about his book The Benefits of Failing Successfully. Before we engage the author with questions here are some of the things you should know about him and the book. Dr. Jagdish Chaturvedi has been known all his life by family, friends and peers for being absentminded, impulsive and for making mistakes, failing and causing blunders. Despite this, at the age of 33, he is a well-to-do Ear Nose Throat surgeon and medical device innovator with 18 inventions to date. He was recognized as one of the 35 innovators under the age of 35 by MIT Technology Review in 2016. He is a well-known stand-up comedian, actor and an author of the best-selling book on medical devices called Inventing Medical Devices: A Perspective from India. 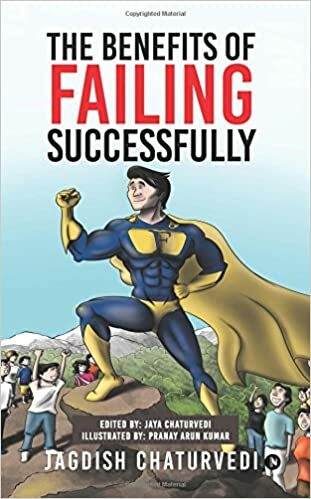 In this book, Dr. Chaturvedi shares ten personal anecdotes of mistakes and failures and gives a perspective of his interpretation, where he positions failures as a part of the process rather than a definitive outcome. Explaining with humorous caricatures and situations, he demonstrates numerous benefits that arise from such mistakes, why they are important and how they have helped him shape his career. Even though the mistakes and failures made by Dr. Chaturvedi may appear trivial and in-significant when compared to those faced by many others in the general population, they highlight the principles of a very unique and positive perspective that may be applied in mistakes and failures of greater magnitudes as well. This book may serve to be food for thought for many who believe that failures are detrimental and that they should be aggressively avoided and not embraced. It may change their minds to think about failures as steps towards success, by showing how key insights from these failures can be used to empower new skills and opportunities. Now that you know all of this. here we bombard the author with questions and get an insight more about the interesting book. 1) Tell us a little about the book and what it means to you? This book is my way of sharing how failures have helped me progress in life faster and more effectively. At the age of 34 if I am a well-to-do doctor, successful Medical device innovator, serial author and stand up comedian then all credit goes to the ability to fail and make mistakes quickly which helped me evolve faster. I don’t think many people realise the benefits of making mistakes and failing. The learnings from mistakes can make one good at things and many such learnings makes one an expert. People generally avoid mistakes and miss out on a chance to improve. Through this book I want to demonstrate how my failures have helped me more than negatively impact me. A young journalist Gayatri Chaturvedi, was assigned to interview a spiritualist who was the talk of the town for his unique healing powers. Initially, she takes him for a fraud but as the interview proceeds, she realizes that he has a deep knowledge of medicine. Smitten by the charms of his looks and fascinated by his intriguing personality, she decides to probe into his past. Her investigation leads her to that era of his life when he was a post-graduate student of medicine. 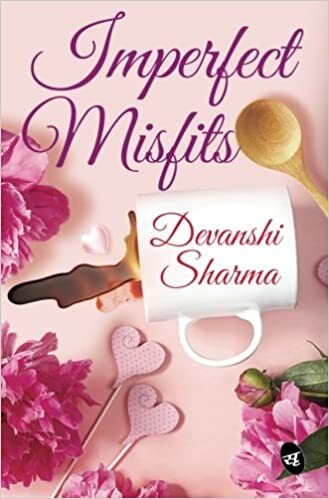 Right at the time when he was about to propose to his lady-love, his life turns upside down and he finds himself accused of the murder of a fellow student. The story unfolds as Gayatri seeks answers to the questions that keep reverberating in her mind. What has made the boy who has a heart of gold, commit a crime as heinous as murder? Is he really guilty or was he trapped? A story of indomitable courage, selfless love and ardent friendship will reaffirm your faith in the power of hope. 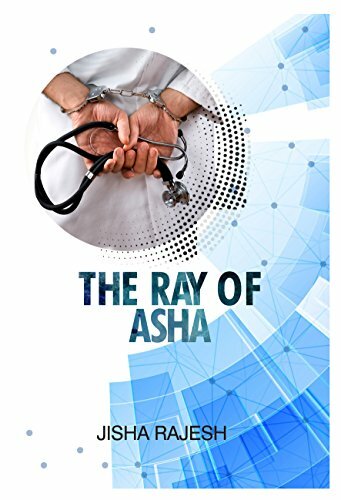 Jisha Rajesh is a doctor by profession and a writer by passion. She dreams of spreading the message of love, compassion and universal brotherhood through her stories. She was a winner of various literary competitions during her college days. She is an avid reader and music and cooking are her other hobbies. Her stories have been published on StoryMirror, Muse India and Indus woman writing. The cover shows of a stethoscope depicting life and death. cover is simple and hopeful. Blurb is crisp .The story follows a smooth narration. The language is easy to understand. The way the author has put up imagery is really beautiful. The topics which are covered is medical as well as spritualism. A alot about psychology will also be learnt in this. It is such a pure read which will take you to yourself and stir alot of emotions. We all are in dire need of hope and this book just guides you through and help you understand how much hope is what we need. You can see in the blurb alot of relatable quotes are given which all of us have felt it once or gone through atleast once. These quotes also help us things better and gives us hope too. Never to giveup in the toughest of times has been given in these pages. This book is bound to leave an impact on you and drive back the potential one has to the maximum. Ishita Singh, a student of an esteemed college in Mumbai was living a normal life along with her group of friends, a caring senior and scarily enough, a creep who stalked her. 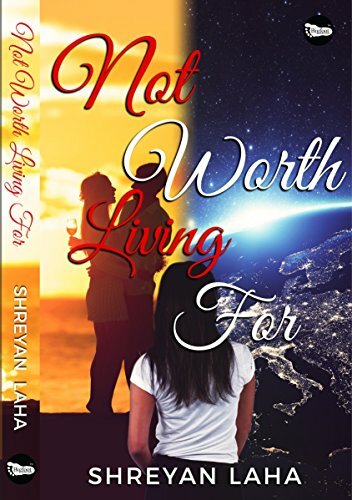 Shweta wakes up in an unknown planet with an advanced civilisation and sets out with Alexander Ishutin, a former spy of the RSV to discover about the far future. Underlying the lives of these two girls in different worlds, there lies a dark secret. Will they ever come across this dark secret or will it be so chilling that it won’t be worth living for? Prepare yourselves for a psyched, dystopian adventure. Not for the faint hearted. 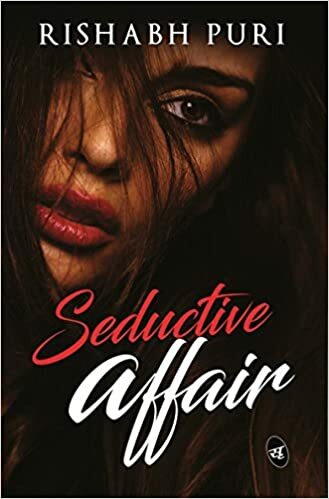 The story follows the life of the two main leads Shweta and Ishita and how they are interconnected. The author has done an amazing job of narrating the story in a beautiful,slow and simple manner unfolding the story. The narration is good and also the language used is easy to understand. Characterization has been done beautifully. This book is something other than the usual stories and has alot to tell you. The book takes you through a roller coaster ride. Cover could be better but is alright. It is a one time read. The book takes you through so many emotions throughout. THERE’S CURRENTLY A SHORTAGE OF OVER SEVEN MILLION PHYSICIANS, NURSES AND OTHER HEALTH WORKERS WORLDWIDE, AND THE GAP IS WIDENING. DOCTORS ARE STRETCHED THIN — ESPECIALLY IN UNDERSERVED AREAS — TO RESPOND TO THE GROWING NEEDS OF THE POPULATION. MEANWHILE, TRAINING PHYSICIANS AND HEALTH WORKERS IS HISTORICALLY AN ARDUOUS PROCESS THAT REQUIRES YEARS OF EDUCATION AND EXPERIENCE. FORTUNATELY, ARTIFICIAL INTELLIGENCE CAN HELP THE HEALTHCARE SECTOR TO OVERCOME PRESENT AND FUTURE CHALLENGES. HERE’S HOW AI HAS LAID THE FOUNDATION OF THE MODERN HEALTHCARE SYSTEM. 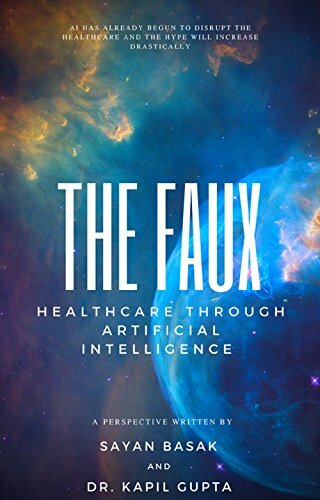 THIS BOOK WILL GIVE YOU A GLIMPSE OF HOW AI EXCELS IN THE FIELD OF HEALTHCARE. The cover is really beautiful and builds in the curiosity. The author’s have done an amazing job on describing about the artificial intelligence and it’s uses in day to day life health care. Artificial intelligence impacts the health care system drastically. Various systems and aspects are discussed to make it simpler to understand for us. Reports and diagrams are given to make it easy. The book is an amazing insight for health care professionals. A good and informative read.